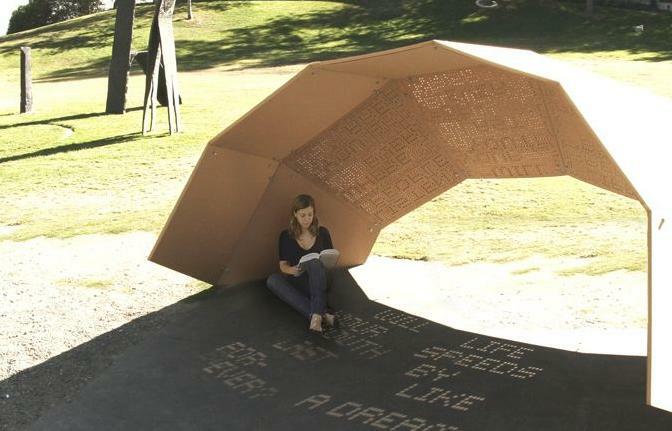 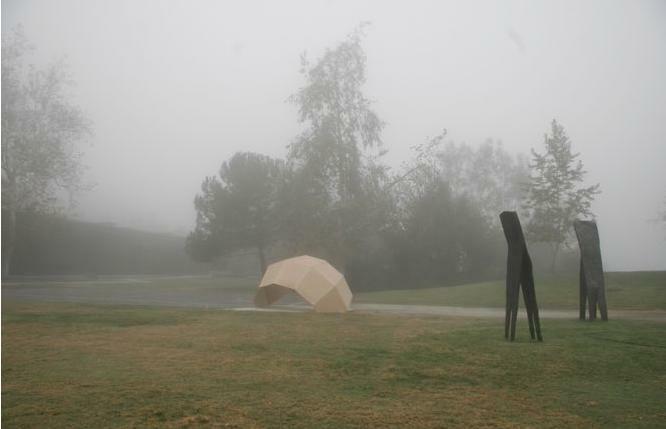 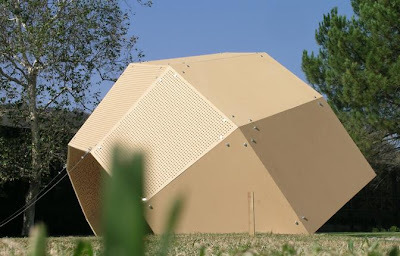 Media designer Jiyeon Song created this 'One Day Poem Pavilion'. 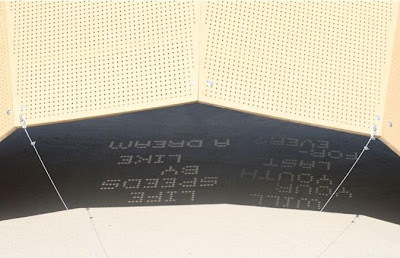 There exists a complex array of perforations that allows light to pass through the pavilion's surface that results in shifting patterns, and transforms into a legible text of a poem. 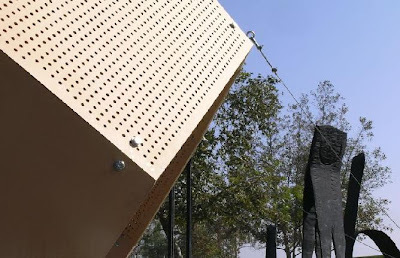 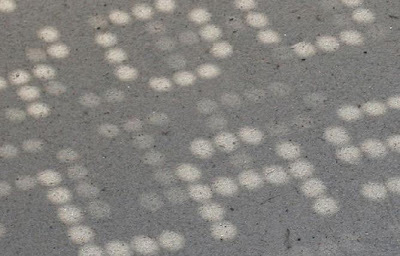 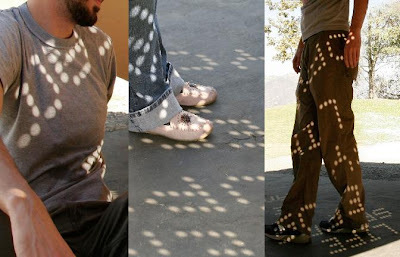 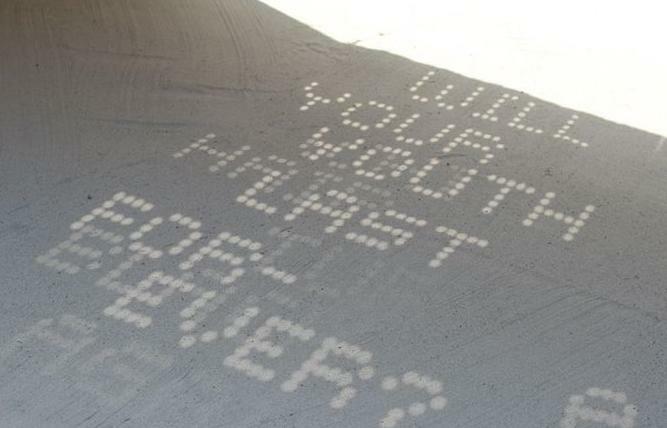 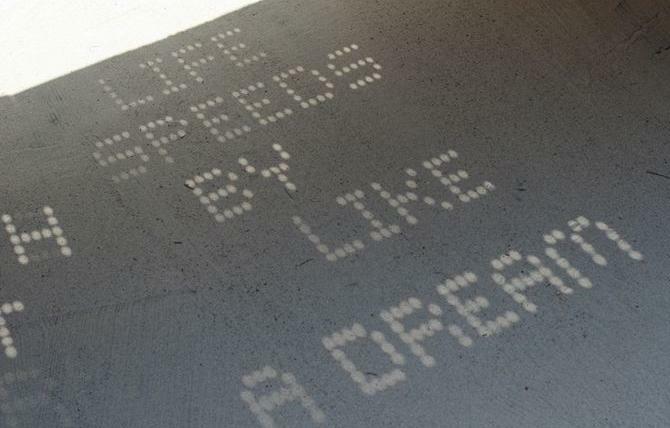 During the day, the light passes through the perforations on the surface and projects a poem on to the ground. The poem consists of 5 lines with each line visible for about an hour that can be seen between 8 AM and 4 PM.